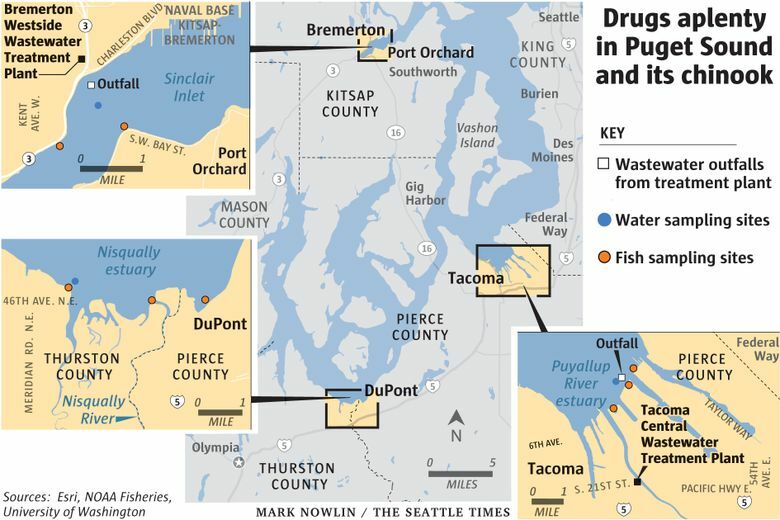 The Puyallup turned out to be the most extreme case, with higher levels and a wider variety of drugs found in the water, and in its fish — 27 detected drugs, compared with 13 for Sinclair Inlet fish. 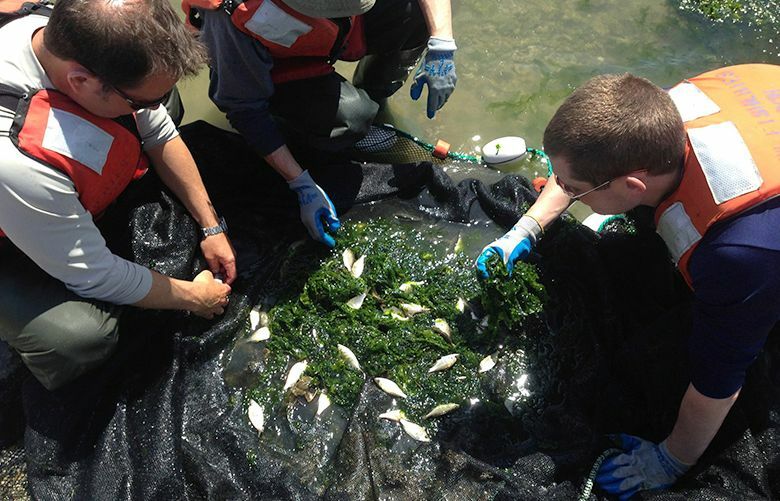 Concentrations in the Puyallup fish were also two and threefold higher than in Sinclair Inlet fish. 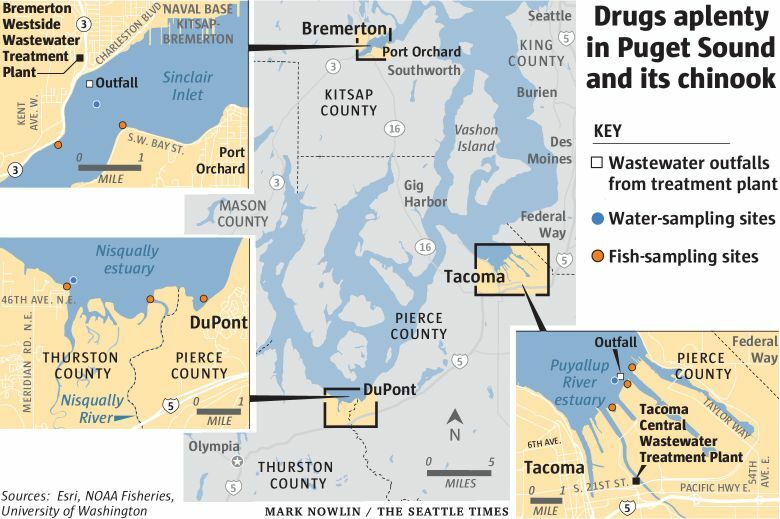 The drugs selected for study — of a possible 4,000 different pharmaceutical and personal-care products discharged into the water — were chosen for analysis on the basis of their widespread presence, the likelihood of their continued use and the potential for higher levels of contamination in the future as the human population of the region continues to grow. 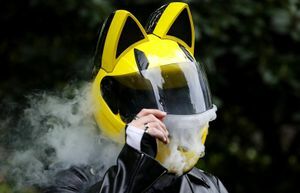 The results represent only a snapshot of levels detected, which could be higher or lower seasonally, depending on people’s use of drugs (such as insect repellent and antihistamines, that are probably higher in summer,) and the volume of treatment-plant discharge.